A two-night trip to Dasyueshan (大雪山, sometimes described as ‘Anmashan’ in foreign birding reports) did not disappoint. It is probably Taiwan’s best birding destination - good infrastructure, and a good range of habitats hold most of the endemics. The normal route starts at kilometer mark zero at Dongshr Town (東勢, about 300 meters elevation) in Taichung County and ends at the Tienchr Pond (2600 m elev) near the 50 km mark. Most birders stay at the Forestry Bureau-run lodge (Anmashan) at KM 43. Additional accommodation options at Dongshr, lower elevations, and possibly the recently renovated cabin at km 50. Excellent options for hiking. The main road is popular with fit road cyclists. Hwamei and Striated Prinia near bridge at km 4. Brown Dipper and Striated Heron at stream on right-hand road at km 15 (turn before the police station). Rusty Laughingthrush near the Swinhoe's Pheasant spot at km 23 (had great views of Swinhoe’s and Taiwan Partridge 4-6pm). Cupwing heard on Forest Trail #210, just after the toll station at km34. Little Forktail at stream crossing road at around 42 km mark. Various good birds around/below the Anmashan accommodation/restaurant. 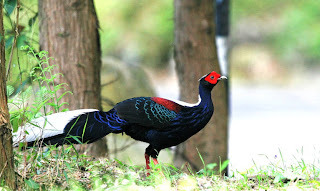 Mikado Pheasant at their (heavily photographed) spot at km 47, 2-4pm. Also had great views of male Mikado on the picturesque forest trail (via ‘small sacred tree’) that starts below the accommodation area. Flamecrest and other good stuff on the quiet Forest Road that starts behind the restaurant at the 50km mark. 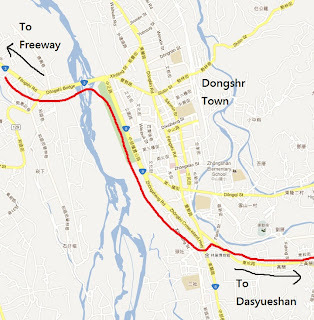 Hard to criticize Dasyueshan, but you really need your own transport, to get there, and between birding locations. Food at the main accommodation area can be hit and miss for foreign palates. Tip: try to eat dinner early at Anmashan - food much better. 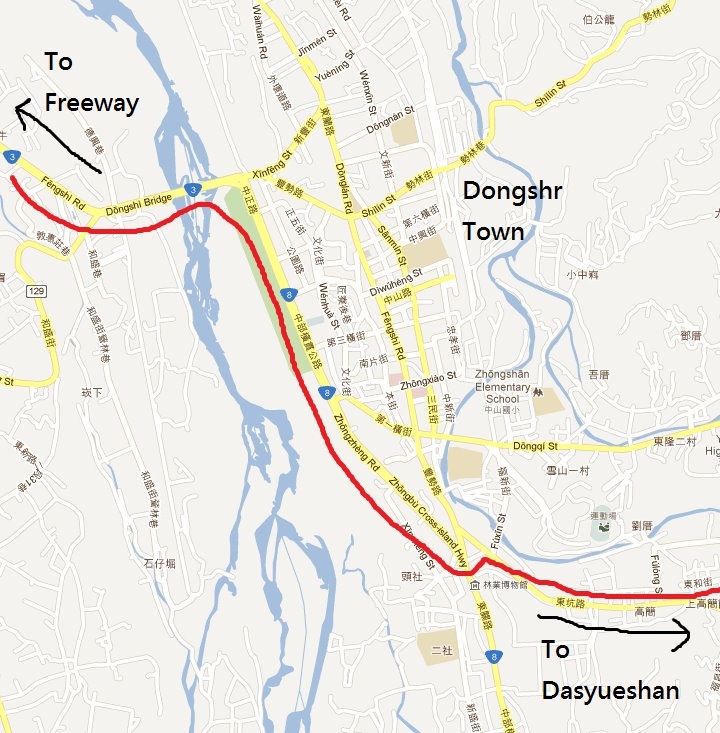 Finding the start of the Dasyueshan road at Dongshr can be tricky. From Fongyuan. Freeway follow #3 east, then #8 south skirting the town. Turn left and then right around a red-brick forestry building. Road 'scruffy' and urban for the first couple kilometers. Last 7-11 is here. Birds reported by others those days - but sadly NOT recorded by us. Grrr...not complaining! Muntjac (Barking Deer). Several heard at several locations. Formosan Macaque (Monkey). Several well seen. Formosan Striped Squirrel. Several well seen at pheasant feeding sites. Owston’s Long-nosed Tree Squirrel. A couple seen in broadleaf forest. Also possible Red-bellied. White-faced Flying Squirrel. Several well seen near Anmashan. Formosan Giant Flying Squirrel. Probable sighting below Anmashan workers’ dormitories. Weasel Mustela sibirica taivana. Glimpsed below dormitories, Anmashan. Formosan Sanbar. Footprints near 50km area. Eurasian Nutcracker Nucifraga caryocatactes "Endemic subspecies (N. c. owstoni)"